Do you want to be a substitute teacher or paraprofessional? ​Indian Trails Camp, located in Allendale Michigan, "brings adaptive recreation to campers in a safe, barrier-free environment. Campers participate in a wide range of activities while learning perseverance, teamwork, and self-reliance and experiencing empowering fun and friendship. 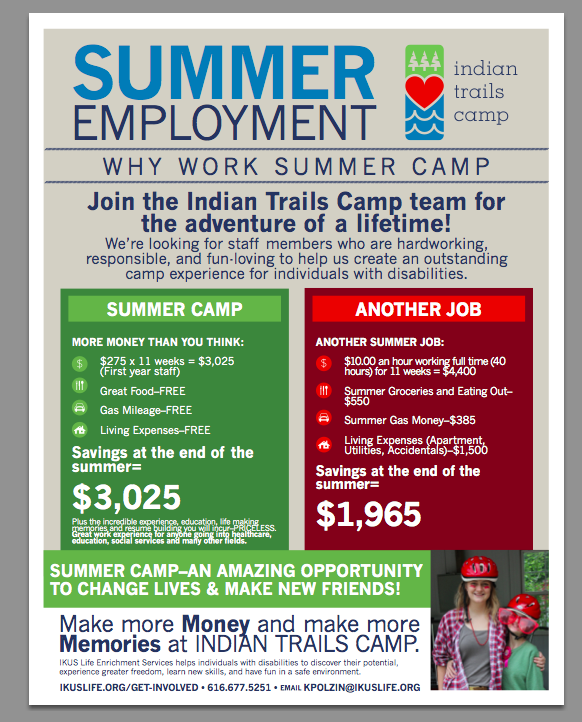 They are always looking for staff members who hardworking, responsible and caring to help give individuals with disabilities an amazing camp experience. If you are interested or have any more questions you may sign up through their website or email them at: info@ikuslife.org.